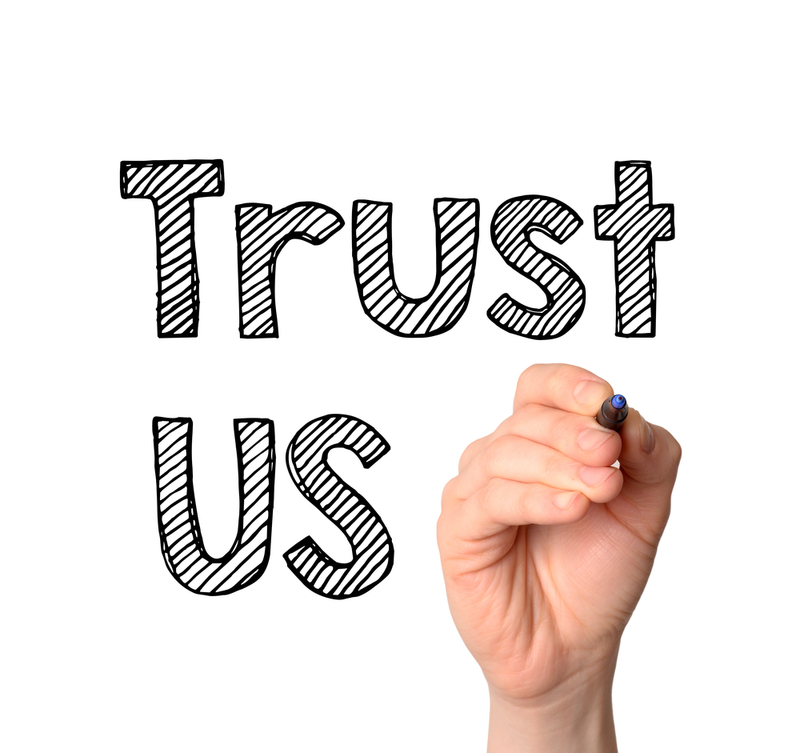 Trustworthiness is one of the factors that play a huge role in converting your leads. Would you like to make a transaction with a shabby looking website? Would you trust any random xyz website over World Wide Web? Definitely not! And you should not too, in order to stay safe and secure. So what exactly determines a website’s trustworthiness? How do customers get that feeling of authenticity and reliability for a website? Well, we do have the answers to these questions. The major aspects -- the looks, the navigation and the organization of the content play a vital role. But, that’s not all! Here are a few absolute factors that equally play a critical role in determining your website’s trustworthiness. The first impression always counts, may it be the advertisement or the landing page or the page of your website (if it is not the landing page). If the design radiates professionalism subtly, the user automatically feels it is authentic. Thus, try all random and odd combinations to ensure that you are delivering awesome first time experience. The overall look is the first thing that strikes to the subconscious mind and navigation strikes on the conscious front, so organize your site in such a way that the user should feel your website’s easy navigation as well as its sharp and credible looks. Arrange your site in an order that is user-friendly. Rather than getting too crafty with the words or getting into deep jargon, use relatable vocabulary for easy and fast understanding. It is a usual tendency for users to leave what they do not understand. So make sure that they feel easily guided by using smooth and reliable content. If it feels like it is not your cup of tea, it is better that you let the professional web designer do the job of site presentation and a professional content editor to pick up finest expressions for your content on site. They are the ones who come with years of related experience, and anytime more skilled than you. As already emphasized above, if what the user sees makes a negative impression, your website has already taken a back step. A visual impression comes from using the right image with the right colors for a website. Many colors can create a dark and dull aura while others just don’t seem to go along. The colors give life to your website and it is up to you to decide what kind of life you want to give. For example, a black and white combination never goes wrong but doesn’t always work and can sometimes give a very mediocre and standard impression. Are the words eligible on your color theme? Does the color theme make your website look cluttered? Does the image fulfill the right purpose? Is the quality of the image just right? These questions, when answered, solve the purpose of both the designer and the user. Above these, if there is a grammatical error on the front of the site, it counts as carelessness and lack of attention on the part of the company. Typing mistakes make for a shabby impression, no matter where and under what condition. Also, you might want to keep your website and its links updated to avoid bad feedback by leading the users to a broken link. Such small mistakes and overlooking bags only negative feedback which can never be good. Undoubtedly, we all blend well with extroverts -- the transition with them is quick and easy. Same is the case with websites. People tend to trust transparency. They immediately shield from people and things that want them to take the first step. Give all the required info to your lead, and it will get converted into sales in no time. Exposure has a great impact in building trust. Every user likes to know well in advance what they are getting into before taking the step towards stabilizing a relationship. What is it that you can offer them? Let them know the basic information about the product and about you. Let them see your work and results. Make them feel secure and content. All these tasks are easily achieved by any website by being clear and open with their customers and visitors. Sometimes being upright isn’t just about basic information sharing. Depending on the type of industry, you have to cater to your client’s need of information like wanting to know the price of products, their validity, guarantee reviews and so on. Background info is always required to win the faith of your customers. After all, who would like to deal with strangers? Sure all these information can’t always be catered but then there is the option of FAQs which people turn to more than often. Try to keep a real time interactive chat room. Many times these queries are simple and basic, but they leave an everlasting impact over the customer’s mindset if dealt well. For example, someone might simply want to know the delivery time of a product to a particular place while other might want a detailed description of when, where and how a service will be provided. Keeping any kind of details from the users tend to turn them away very easily. You might not be doing so purposefully but persuading the user to take the first step by asking them to sign up before you reveal any information will make them wary of you. Any content behind bars is simply either ignored or suspicious. For example, when opening an e-book website, if the site asks the user for paid membership or worse, card information, before letting them into their basic information like the list of books available or their price, the user immediately turns away with distrust. With all these obstacles crossed, brands and companies must make sure to include the guarantee scale into their website because it is what makes it worth the price for the user. Customers know that no product lasts forever but would want to know if it is worthy of the money they are putting into you. Lastly, a place for reviews like the FAQ section is a thing no one misses in this day and time and so shouldn’t you. Every one of us has been to Google play store and every one of us has been through the reviews of the application we wanted to download. Providing information about your company, the vision, mission, services, etc. is the ultimate secret to win trust of your customers. However, care should be taken that you’re not bombarding them with unwanted stuff. You can assure a steady customer if your site is up-to-date and all your information is always relatable and meets the users understanding. As already mentioned before, the emphasis on information providing is great. But sometimes that is not all there is. The things you feed the user must be relevant. If it’s a facility provider, be sure to let them see your work and not just the results. People put their trust in real things. Include tips and pointers that help them relate to you and understand the work better. Make them feel a part. Let them know the process and progresses. Include key cards for your products and warning against your setbacks. Transparency is the key and what better way to let your users see you. Make sure to include the images of your products and their effects. It is highly recommended for service providers to not simply put up images of their end result but also show in-progress images to let the viewers feel more comfortable knowing how the work is done. Smiling, clean pictures more than often are considered filler and not taken seriously. The Web is a place as big as the world or bigger and keeps growing. Limiting your scope to your own website would surely leave you isolated. It can create an impression that the company is less trustworthy if the users do not find any or much news or reviews on the internet other than the company sponsored data. Social media has created a place that makes the physical world smaller each day and helps in connectivity all across the world. So make sure you are the part of that connectivity. Not only it helps the trustworthiness, it helps the company to know their customers and the public’s mindset better with changing times. The first step in that connectivity is keeping your contact information in clear view of the users. It makes you seem approachable. Stay online if you have a chat room. This makes an impression that you are ever ready to be close to your customers. Cannot? Mention an email address and make sure that you have an instant notification service other than the automatic response system. Users are no fools and will catch on if their emails do not meet their satisfaction. Other than the website, also consider keeping a company blog or maybe just a general blog about your company, even if not company maintained. It is a good option for start-ups. Not a keepsake but an up-to-date open to all kind of page. Having insights into the company’s mind always helps in easing the users. Those looking for a long-term relationship with your organization will want to know as much as possible so will your employees. It is also a great way of promotion other than the social media. And obviously, we can never overlook the power of social media. FB, Twitter and Instagram. It keeps going. Open a Google page, you have advertisements. People accept social media reviews to be more unbiased than those on the company website page. Not having a hand in a good media site tends to make the users question the worthiness of the product. For example, a brand not selling on Amazon tends to come under suspicion of its authority. Try holding onto what the public trusts. Thus, it is a 4 step process for designing a marvelous website. From designing it perfectly to enhancing its reach, imparting the required info and providing seamless connectivity -- these all sum up to weigh the trustworthiness of your website. Work on these factors and notice an inflow of customers on the go! Peter Davidson works as a senior business associate helping brands and start ups to make efficient business decisions and plan proper business strategies. He is a big gadget freak who loves to share his views on latest technologies and applications.